The City of Philadelphia was named a ‘Silver’ Bicycle-Friendly Community by the League of Bicyclists’ Bicycle-Friendly Community program today, citing the city’s Bike Month and Bike to Work Events, our bike plan, bicycling culture, and other issues. This year’s award was part of the largest application round in the Bicycle Friendly Community program’s 13 year history, according to the League’s press release. There are 404 communities recognized for their efforts to make bicycling better throughout the United States. The Bicycle Friendly Community program looks at a number of issues when deciding whether to give a community the Bicycle-Friendly designation—and the level of designation. 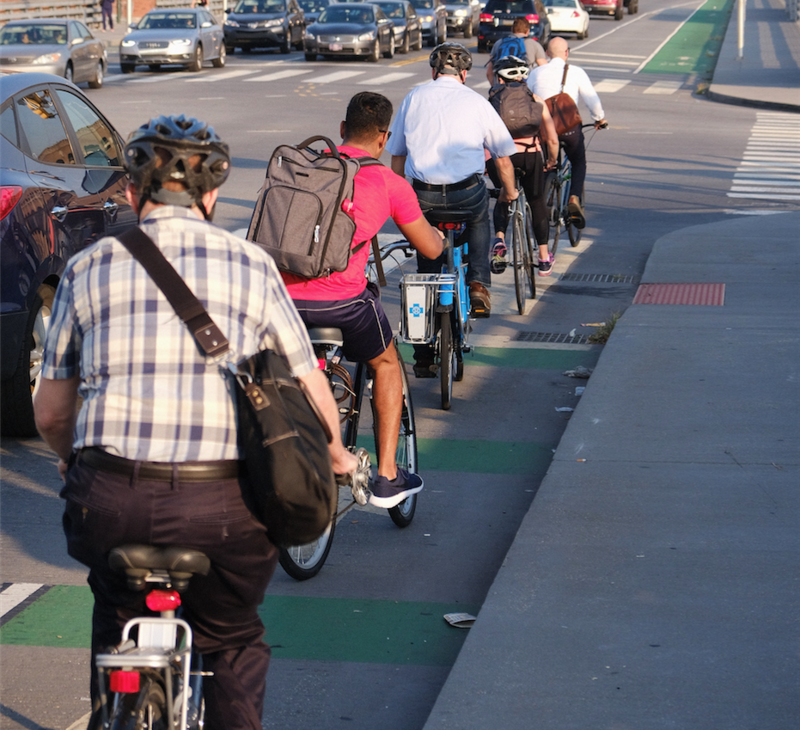 Among them: total bicycle network mileage compared to total miles; enforcement, bicycle-friendly laws and ordinances; bicycle program staff compared to the overall population; a bike plan; and others. You can see the full list of our scores here. The Bike League suggests that Philadelphia should strengthen our Complete Streets policy, and increase the amount of staff time spent on improving conditions for people who walk and bike — both points of which were included in the Bicycle Coalition’s 2015 Safer Streets report, and which the Vision Zero Alliance is working on.